Going dairy-free can often be difficult with all of the "hidden" dairy-derived ingredients often found in food products. So often, even "non-dairy" products contain ingredients derived from dairy-products, which makes reading ingredient lists frustrating and confusing. To help sort through the nutrition labels, use this comprehensive list of the most common dairy ingredients present in foods. Produced by churning cream or milk, this semi-solid fat is found in many food products and recipes, both in salted and unsalted varieties. 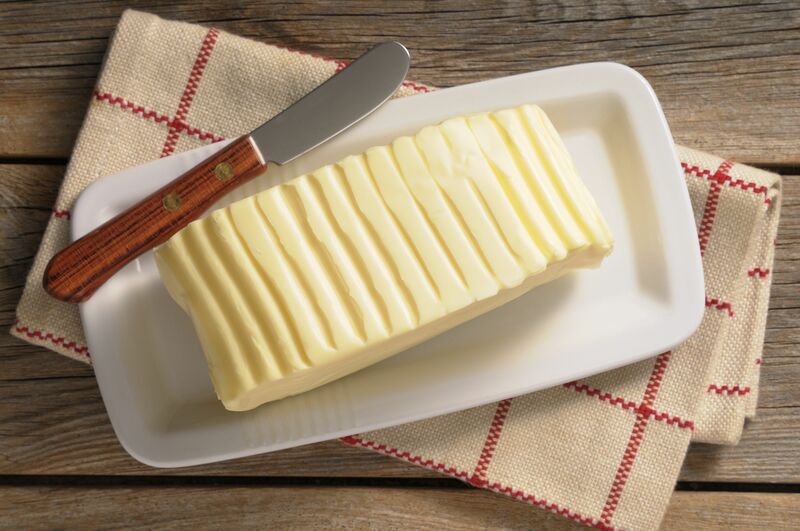 Other forms of butter commonly found in foods are Butter Fat, Butter Oil, and Butter Solids. A milk phosphoprotein, casein is used as an emulsifying and binding agent in countless processed foods, including “vegetarian” cheeses and supplements. Other forms of casein commonly found in foods are Ammonium Caseinate, Calcium caseinate, Casein Hydrolysate, Iron Caseinate, Magnesium Caseinate, Paracasein, Potassium Caseinate, Rennet Casein, Sodium Caseinate, and Zinc Caseinate. A byproduct of cow, ​goat, and sheep milk, cheese, and cheese products are a large component of many different regions’ cuisines and processed foods. Common varieties and forms of cheese are Brie, Cheddar, Chevre, Cream Cheese, Feta, Gouda, Mascarpone, Mozzarella, Parmesan, Ricotta, Roquefort, and Swiss, though hundreds of varieties exist. Essentially, cream is the butterfat skimmed from the surface of milk and is used in savory and sweet dishes and sauces in many cultures. Common varieties of cream are Clotted Cream, Crème Fraiche, Half and Half (Coffee Creamer), Heavy Whipping Cream, Light Cream, and Sour Cream. A product of the first step of making cheese, curd is produced by coagulating either cow, goat, or sheep milk and then removing the curds from the liquid whey. Cottage Cheese, contrary to its name, is actually a form of curd. A high-protein food ingredient derived from whey. Similar to lactalbumin, lactoglobulin is a whey protein which functions as a gelling and stabilizing agent. It is most commonly found in clear sports beverages. Also referred to as “milk sugar,” lactose is the disaccharide component in milk. In order to digest lactose, a naturally-occurring enzyme, lactase, is required. While humans are born with the ability to produce ample amounts of lactase in order to digest lactose products while nursing, lactase production generally decreases with age, resulting in lactose intolerance. While lactose occurs naturally in dairy products such as milk, cheese, and yogurt, it is also frequently present in processed foods as well. While milk is produced by all mammals for nursing young, humans most commonly consume the milk from cows, goats, and sheep, although there are cultures that also obtain milk from other mammals. While milk is sold as an individual product, its derivatives, and other forms are often present in other food products as well, such as buttermilk, buttermilk solids, dry milk powder, dry milk solids, evaporated milk, hydrolyzed milk protein, milk fat, milk powder, milk protein, milk solids, and sweetened condensed milk. A casein-derivative, recaldent is most commonly found in dental products, although it has also been used in chewing gum. Whey is produced during the first stages of cheese-making as a liquid which is then processed to obtain whey protein isolates. Whey is present in a variety of processed and prepared food products. Whey protein is composed of lactalbumin and lactalglobulin and is found in both food products and health supplements. Other common forms of whey present in food products are sweet whey, whey powder, whey protein, whey protein concentrate, and whey protein hydrolysate. What is the Difference between Lactose Intolerance and Dairy Allergy?